For many that decide to work on their sobriety through treatment, may find it is unsuccessful. There are a number of reasons why treatment may fail for certain individuals. Aside from an unwillingness to commit to recovery, not choosing the right treatment methods and the facility is the largest reason why treatment is unsuccessful for many. Deciding to go to treatment and commit to a life of sobriety is hard enough, so facing the dangerous of relapse should be avoided at all cost. 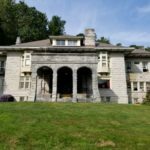 Before deciding on a facility for your addiction treatment, find out what you should look for and avoid when searching for the addiction treatment services you will utilize towards sobriety. Addiction can happen to anyone; doctors, lawyers, police officers, mothers, fathers, and even the elderly are susceptible to form a dependence on a drug. Addiction is not a moral deficiency; it is a slippery slope that can affect even the most golden-hearted individuals. Since addiction can be apparent in all walks of life, treatment needs to be specific to each individual’s needs. 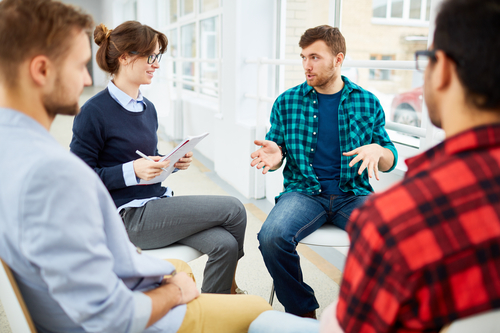 Research in the treatment industry shows that individuals who are surrounded by peers feel that they can relate more to others during treatment. Before deciding on a treatment facility, make sure that you will be comfortable with whom you will be surrounded with on a daily basis. There are gender specific, sexual-preference, young adult, adult, and elderly program options available so that you can be sure that you have the best chance for recovery success. Some environments even offer first responder programs for individuals who have developed an addiction over the course of duty as a firefighter, police officer, or paramedic. 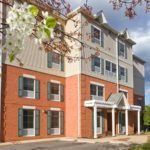 Additionally, choose a facility that understands that addiction treatment should be tailored for each individual that requires addiction treatment services, and comprises a comprehensive treatment plan for each patient who attends. Adventure Therapy: During these sessions, patients will learn to manage scenarios where they have to depend on others and work through adversity. 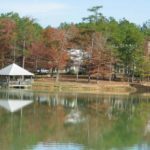 Sessions may include paddle boarding, scuba diving, sports games, skating, fishing, and more. Art Therapy: Concentrating on developing art is a great way to reduce stress and gain self-control, both important aspects of a recovering individual to gain through addiction treatment services. Narrative Filmmaking Therapy: Storytelling is a powerful way to work through and overcome the debilitating emotions that come with addiction. Narrative filmmaking provides individuals in recovery with an outlet to expressing their addiction experiences and determining a new a brighter path of life. Anger Management: Anger can be a destructive force that can promote relapse for those in recovery. Management of anger is an important aspect for many that are determined to have a successful long-term recovery story. Grief Therapy: For those that have experienced trauma as a direct result or cause of their addiction, therapy that specifically is tailored around grief is imperative for healing to take place. Don’t Settle: You are Worth It! All too often individuals will decide on their treatment facility based on unnecessary objections like price or location. Remember; treatment is a matter of life or death. What good is attending a treatment facility if you are just going to relapse shortly after graduating? Instead, be determined to find the fit that matches your needs. Ask questions, get answers, and don’t settle because your life is worth it! To see if Detoxes.net in South Florida is the right place for your recovery journey to start, check out our entire list of therapies available to our patients.